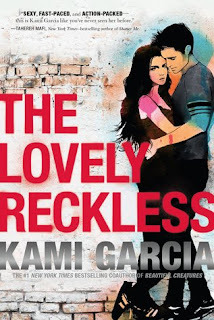 The Lovely Reckless by Kami Garcia is about Frankie, rich girl from the good town Heights who just saw her boyfriend get murdered. She moves in with her undercover cop dad to a new town and transfers to a public high school in the Downs where fistfights don't faze anyone and illegal street racing is more popular than football. There she meets Marco Leone and it is impossible for Frankie to ignore him. But the risks Marco takes for his family could have consequences for them both. Will Frankie let the pain of her past determine her future? Or will she risk what little she has left to follow her heart? This book hasn't released yet so I can't say much about it because I'm afraid I might spoil it but I just have to say, this book is a winner. So, Personally, when it comes to contemporary, I'm more of a fuzzy rainbow romance type of a person. So, gradually when I read contemporary romance, the setting is light and there is drama and all that cliché stuff that everybody claims to hate but secretly love. That's the kind of stuff that I'm in to. But this book was totally opposite of that. This book was a romance novel but it was dark, gritty and sometimes it was a bit depressing so I had to put it down. But obviously I didn't out it down for long. This book deals with serious issues that sadly a lot of people go through these days and Kami Garcia didn't sugar coat any of it. Reading this novel, I felt as hopeless as the characters in this novel did. Did I relate to this book on a personal level? Thank god no. But I still felt for the characters and I felt as if I was living throughout this story with these characters which shows how amazing Kami Garcia is. That's about all I can say about this book! I thought this book was a great and emotional read and I am definitely going to be checking out Kami Garcia's other books! 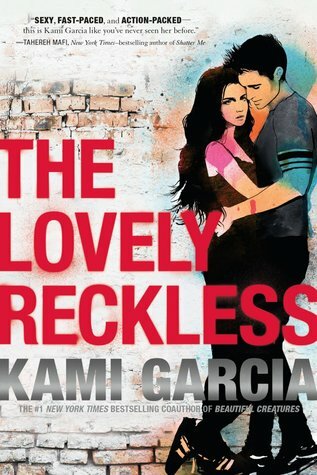 Make sure to check out The Lovely Reckless by Kami Garcia on OCTOBER 9th! Hope you enjoyed this review and thanks for reading my review! Signed The Wrath and the Dawn Giveaway!